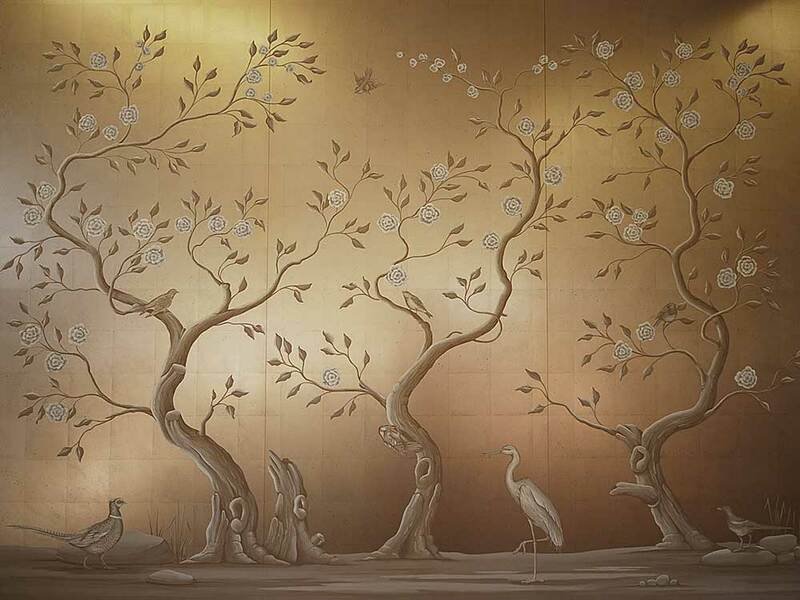 Trompe L’oeil mural of silver leaf metal leaf blossom mural with oriental butterfly – Hand applied in situ finish – INTERIOR WALLS – FEATURE WALLS – CEILINGS. Faux lime walls & softly distressed hand painted bespoke artworks – Hand applied in situ finish – INTERIOR WALLS – FEATURE WALLS – CEILINGS. 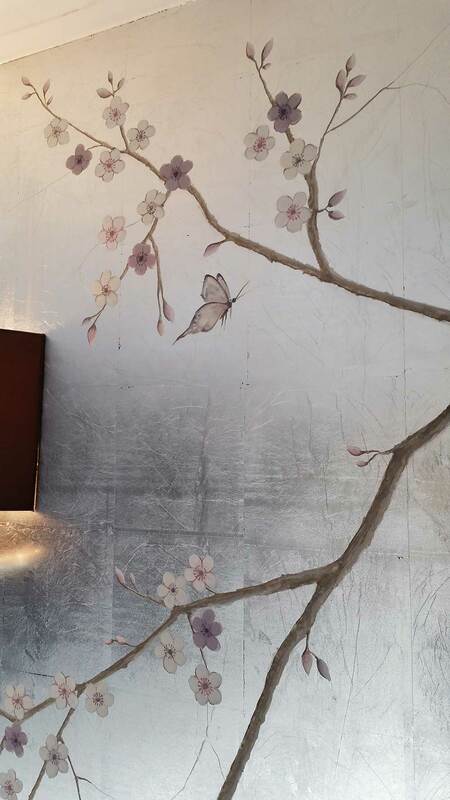 Hand painted Chinoiserie blossom on leaf – Hand applied in situ finish – INTERIOR WALLS – FEATURE WALLS – CEILINGS. Hand painted Chinoiserie blossom on leaf – Belgravia – London. Trompe l’oeil panels & over-door motif on Gustavian style finish – Chesham manor house. Chinoiserie style mural on faux gilver leaf – Virginia Waters – Surrey. Trompe l’oeil bronze rosette & moldings – Wallpaper design for Nina Campbell. Hand painted faux gilt Chinoiserie style media cabinet – Chateau – Jersey.